Hubley, Evelyn Orilla, 90, of Mersey Point, Queens County, passed away Friday, September 24th, 2010, in the Queens Manor, Liverpool. Born in Black Point, Queens County, she was a daughter of the late John and Emma (Mason) Boutilier. Evelyn worked most of her life as a clerk at the old Metropolitan Store and as a bookkeeper for Irving Oil. She was a past treasurer for the Grace Anglican Church ACW, and also a former member of the Liverpool Home & School Association. Evelyn had many hobbies such as gardening, quilting, crocheting, and she was also very good at sewing and knitting as she also knitted for the Red Cross and made surgeon’s jackets during WWII. She is survived by daughters Lillian (Andrew) Godfrey, of Beach Meadows, Rosetta (Arnold) Wolfe, of Brooklyn, Linda (Michael) Wile, of Halifax, Bonnie Shea (Paul Boyle), of Halifax; son Clare (Linda), of Wileville; eight grandchildren; nine great grandchildren. She was predeceased by her husband Ernest; son Ernest L. Jr., in infancy; granddaughter Nancy; sister Lois; brother Wilson. We were sorry to hear about Evelyn. Our thoughts and our prayers are with your family. Clare & family we share our deepest condolences to you and your family on the passing of your mom. She was such a lovely lady and will be missed by all. Our thoughts and prayers are with you all. TO EVELYN’S FAMILY —WE ARE SO SORRY TO HEAR OF HER PASSING. OUR THOUGHTS ARE WITH YOU ALL AT THIS SAD TIME!!!!! We was so sorry to hear of your great loss.Our Thoughts and Prayers are with all of you at this sad time. Sorry to hear of your loss. It is always difficult to lose a love one. You are in our thoughts. Our deepest sympathy in the loss of your Mother, she was a wonderful lady! We have lived in Mersey Point for the past 25 years and new of Evelyn, but I got to really know her when she moved into Hillsview Acres…She was a very kind hearted woman who had a heart of gold…She will be missed but her memory will live on forever in the hearts of her family and friends…R.I.P. my dear friend, you are Flying High with the Angels FREE from pain! To Linda,Clare,Lillian,Rosetta & Bonnie. I have known Evelyn all my life. 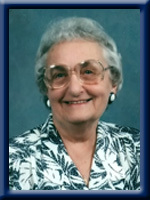 She was a wonderful lady & a dear friend to my mother, Lottie Levy. I remember her warm smile, pleasant nature & sense of humour. We always had a little laugh during visits. I know you all have great loving memories to share with each other to help you get thru the days ahead. Our sincere sympathy & prayers are with all of you during this difficult time. So sad to hear of ur mothers passing. I remember going to ur home when we were growing up.Condolences to u n ur families from mine. Sincere sympathy Linda (and Mike) on the death of your mother. Was reading her obituary in todays newspaper & thinking what a talented lady … that must be where Linda gets it. Condolences also to James and Jason and their families on the passing of their grandmother and great-grandmother. Our deepest heartfelt sympathy to the Hubley family – Aunt Evelyn was a beautiful person and will be sadly missed by her family. We will all treasure the wonderful memories we have of our family visits over the years. Love – Marguerite, Susie, Betty, Loran & families. Please accept our deepest condolences on the passing of your Mother.Evelyn was one of our favourite people and over the years she lightened our lives with her humour and bright smile.We will miss her as you all surely will. God Bless .. lloyd & Barb. Rosetta & Family, Sorry to hear of your Mothers passing , Our thoughts and prayers are with you and your Family . I was very sad to hear the news of Evelyns passing. I had the pleasure of getting to know Evelyn at Queens Manor. We had wonderful conversation and she had a real knack for gardening, and we had a lovely time together among the flowers at Queens Manor, she will be deeply missed, she was a beautiful soul. Our deepest sympathy to all the family with the loss of your mother. Hang onto all those precious memories and she will always be with you. Linda, I also remember those summer holidays, playing with the Hubley children. It was great. I’m glad we met you Linda and Mike at my Dad’s visitation. Our thoughts and best wishes are with the family at this time .